Bob Dylan probably wasn’t talking about s’mores when he sang the famous line, 'For the times they are a-changin,' but he might as well have been. It’s 2017. We live in the age of self driving cars, touch id and #selfiesticks. 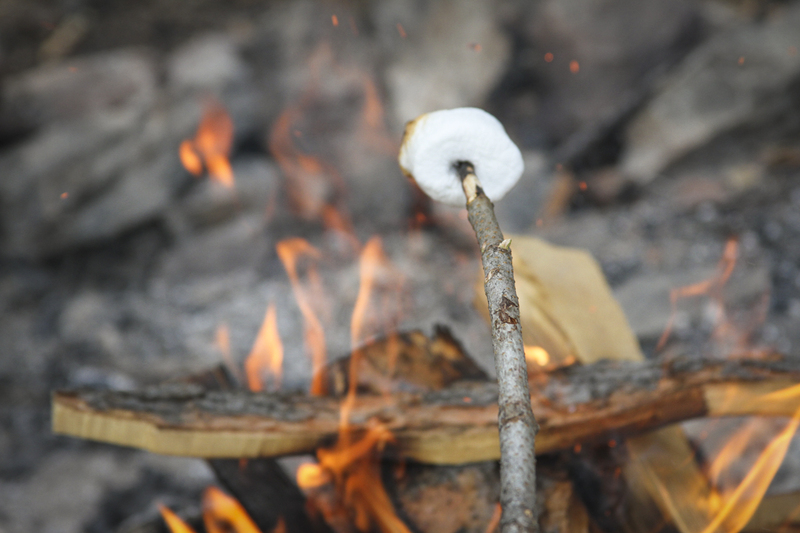 Don’t you think it’s time your s’more game caught up with the times? Since we’re rolling into summer hard right now, here are a few ideas to help step up your s’more game to version 2.0. Chocolate has stood its ground for a long time as the go-to filling when making s’mores. Swapping the standard chocolate squares for something different is the quickest way to knock a person’s socks off while kicking it around a campfire. Throw some of these ingredients into a basket so you have them handy anytime. Graham crackers can be heavenly, but your taste buds haven’t lived until they’ve danced with the flavors that come when you swap out one of those trusty grahams for a cookie or a pretzel. So next time you’re packing for a weekend camping trip with the squad, reach for one of these s’more vessels instead.